This is part three in a series about our tour of Colorado State University’s Animal Cancer Care Center. Don’t miss part one and part two. Tripawd pawrents are all too familiar with the reactions they get when they tell family and friends that their pup has cancer, and they’re ready to do what they can to fight it. If the word “amputation” comes into the conversation, reactions can be downright hurtful. Most Tripawd pawrents have heard these kind of reactions from well-intentioned humans. Their opinions hurt, leaving us feeling abandoned in an overwhelming new world of canine cancer. But we are definitely not alone. On the Internet, pawrents can turn to the Tripawds Discussion Forums, and the Bone Cancer Dogs list, among other places. And in the greater world, we can find help at Colorado State University’s Argus Institute. During our recent visit to CSU’s Animal Cancer Care Center, we learned about this incredible organization. 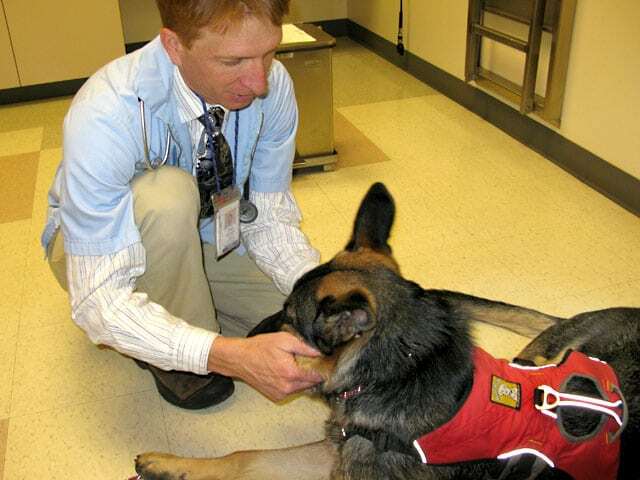 As part of the CSU James L. Voss Veterinary Teaching Hospital, the Argus Institute is staffed with professional clinical counselors who can give information and emotional support to pawrents facing hard decisions surrounding their animal’s health care. Each year, over 1000 people talk to counselors on the phone and visit in person, all of them seeking ways in which to cope with their animal companion’s illness, from understanding the diagnosis, to making end-of-life decisions. Whether you are in the first days of learning about your Tripawd’s diagnosis, or are grieving over his loss, you don’t even have to be a client at CSU’s vet hospital to participate. Anyone can receive counseling services just by contacting the Argus Institute them or calling 970-297-1242. Although the telephone consultation service is free, donations to this non-profit organization are greatly appreciated. If you’re not quite ready to talk to a human on the phone, the Argus Institutes’s website has a wealth of information about Coping with Sick Animals, Pet Loss Resources, Children and Pets, and more. Contact the Argus Institute at CSU for help. If you are lucky enough to live within 30 minutes of the Argus Institute, you can also get help through the Argus Institute student-run “Pet Hospice Program.” As the first of its kind in the nation, the program supports families who are coping with their pet’s terminal illness. CSU’s veterinary school student volunteers act as case managers for clients. They work with local veterinarians to provide clients and companion animals with in-home palliative care at no additional cost. Families can receive visits weekly, or sometimes even daily if necessary. Case managers provide in-home nursing care, assess the animal’s comfort, and give support and educational resources to help the family in assessing quality of life, and ultimately, making end of life decisions as well. 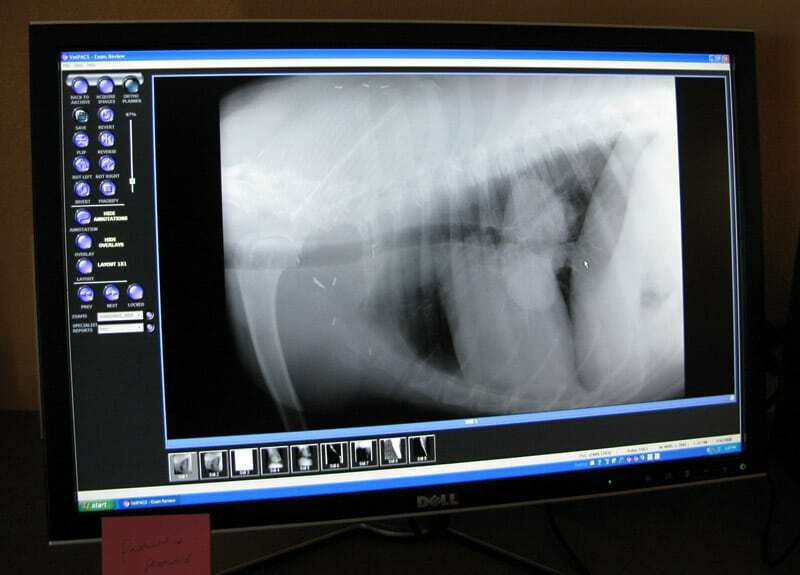 After each visit, the veterinarian is given a full report from case managers. In addition to the hands-on assistant for pawrents, the Argus Institute helps in other ways too, by helping our vets to become better communicators. To learn more about this program please visit the Argus Institute website. Research has proven that when vets and clients share in the decision-making process together, improved medical outcomes tend to follow. 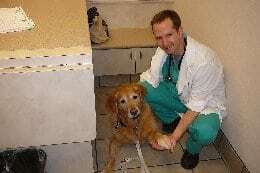 Yet, most vets enter the profession with little or no formal training in client communication skills. The Argus Institute seeks to bridge this gap, by teaching veterinary professionals how to make the emotional support of their human clients as much a priority as the medical care of their animal patients. At CSU, communication training has been a part of the core curriculum of all veterinary students since 2006. Through seminars, studies and hands-on workshops, the Argus Institute teaches vets and vet students to how to be better listeners and communicators, be more empathetic, ask open-ended questions of their clients, and have a better understanding of their client’s perspectives. As companion animals play an even bigger role in our lives, the non-profit Argus Institute will be there to help us and our vets become better communicators with each another. No matter where you live, we hope you will keep this exceptional organization in mind when you are seeking information and support for your Tripawd’s medical situation.